One of the most common design elements in many document types is to have a block of text placed on top of a colored rectangle. It’s always been pretty easy to create this using the normal tools - just draw a rectangle and place a text column or text frame on top of the rectangle, and then group them. But the problem with that is that each time you change the text, you would need to adjust the background rectangle. The Xara Text Panel SmartShape solves this problem - it makes creating a wide variety of text panels, such as the above examples, really easy. 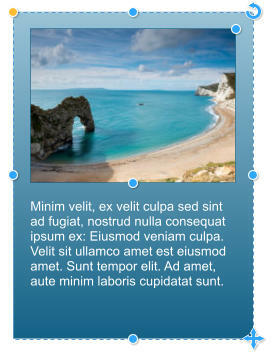 The background rectangle automatically expands or contracts as you edit the text. What’s more you can directly adjust the panel width and height, rounded corners and the padding (margin) space between the text and outer rectangle. We’ve also made a recent improvement that you can now vertically center text in the panel. There are many styles of Text panel but we’ll start with a simple one. 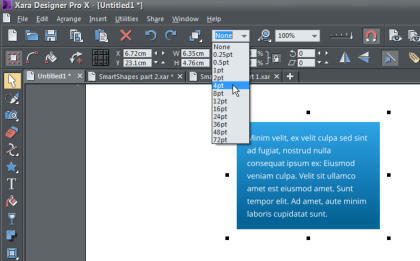 To quickly insert a simple Text Panel SmartShape, select the menu option Insert > Shape > Text Panel or use the short-cut of Shift + C (not whilst you have the text cursor in some text). This will insert a default text panel that uses Theme Color 1, but if your document uses a named color, you’ll be asked whether you want the item to be recolored to match your Theme Colors. The handles on the 4 sides enable you to resize the sides independently. If you hold down the shift key and drag on the handle on the right side it will do a symmetrical resize, ie. stretch both left and right sides equally. The handle in the bottom right will resize the complete rectangle. If you hold down the Ctrl key and drag the bottom right handle, it will enable you to change the aspect ratio of the rectangle. Drag inward on the yellow handle in the top left to curve the corners. Drag diagonally inward or outward on the handle in the top right of the text to adjust the margin between the text and the edge of the panel. Lastly, drag the top right handle to rotate the panel. When rotating the panel it will ‘snap’ to positions of 0, 45, 90 degrees, etc. This may make it difficult to set it to, for example, 1 degree. However, you can select the Ctrl key and the rotate handle which will disable the auto snap and make it easier to find the exact angle required. A simple Text Panel SmartShape showing its edit handles You can edit the text as normal including setting text styles, fonts, links to web or email addresses. There are several ways you can change the color used in the Text Panel. With the Text Panel selected in the Selector Tool, either just click a color on the color line, or drag and drop a color from the color line onto the panel. The ‘Color Replace’ dialog appears so you can select which color to replace. Text Panel selected showing the ‘Color Replace’ dialog Alternatively, using the Selector Tool, you can select the background shape inside the SmartShape using the Ctrl+click method of selecting things inside groups. With the background shape selected, you can also use the Fill Tool control to set the color and fill style. You can even change the background to be a bitmap; perhaps a texture. Speech bubbles are generally used in documents and on websites for comments, cartoons and annotations. The edit handles allow you to change the dimensions of the bubble, control the text area, tweak the size and orientation of the bubble's arrow, and its curvature. You can edit the text using the Text Tool and change the colors using the color editor. Select the menu option Insert > Shape > Speech Bubble. 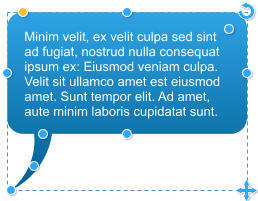 A fully configurable speech bubble - just drag the circular handles to adjust the size, shape and spike. As with the other SmartShapes, the side, top and bottom handles can be dragged to change the width or height of the Speech Bubble. The bottom right ‘cross’ will resize the speech bubble and the top right handle will rotate it. Drag the top left handle to change the curvature of the Speech Bubble – dragging it outward will create a rectangle with straight sides and dragging it inward will increase the curvature of the four ‘corners’. The edit handle at the top right of the text will change the margin between the text and the outer edge of the Speech Bubble. Now, to the orientation of the bubble’s arrow. You’ll notice there are three edit points on the arrow. Click & drag on the outer edit point of the arrow to change its length and direction. The mid point will give the spike a bend - don’t over do it though! The inner control handle allows you to drag the spike around the edge of the speech bubble so it can be above, below, left or right side. Select the Text Tool to use any of the text functions. The Speech Bubble will automatically enlarge to accommodate any new text. Speech bubbles showing different spike positions and styles. It’s so easy to make your document or website look as if it has been created by a professional designer. 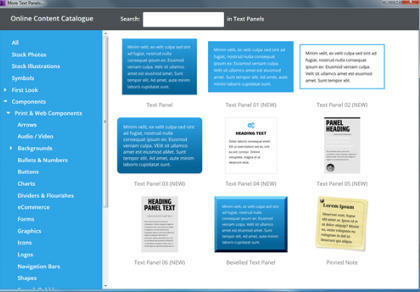 Try it now - download the latest trial version of Xara Photo & Graphic Designer or Xara Web Designer or Designer Pro X. See last month’s SmartShapes Part 1 to learn how to quickly create great looking Arrows, Rectangles, Ovals, Pie Shapes and Spirals. And in Part 3 next month we will cover how to create charts and percentage rings. Minim velit, ex velit culpa sed sint ad fugiat, nostrud nulla consequat ipsum ex: Eiusmod veniam culpa. Minim velit, ex velit culpa sed sint ad fugiat, nostrud nulla consequat ipsum ex: Eiusmod veniam culpa. Velit sit ullamco amet est eiusmod amet. Sunt tempor elit. Minim velit, ex velit culpa sed sint ad fugiat, nostrud nulla consequat ipsum ex: Eiusmod veniam culpa. Velit sit ullamco amet est eiusmod amet. Sunt tempor elit. Ad amet, aute minim laboris cupidatat suntVelit sit ullamco amet est eiusmod amet. Sunt tempor elit. Ad amet, aute minim laboris cupidatat sunt.Velit sit ullamco amet est eiusmod amet. Sunt tempor elit. Ad amet, aute minim laboris cupidatat sunt..
One of the most common design elements in many document types is to have a block of text placed on top of a colored rectangle. Although it’s always been pretty easy to create this using the normal tools - just draw a rectangle and place a text column or text frame on top of the rectangle, and then group them.The problem with that is that each time you change the text, you would need to adjust the background rectangle. The Xara Text Panel Smartshape solves this problem - it makes creating a wide variety of text panels, such as the above examples really easy. 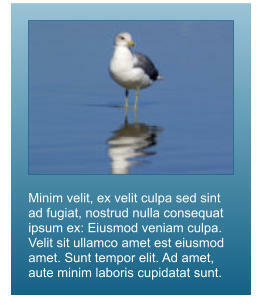 The background rectangle automatically expands or contracts as you edit the text. You can directly adjust the panel width and height, rounded corners and the padding (margin) space between the text and outer rectangle. We’ve also made a recent improvement that you can now vertically center text in the panel. There are many styles of Text panels but we’ll start with a simple one. To quckly insert a simple Text Panel SmartShape, select the menu option Insert > Shape > Text Panel or use the short-cut of Shift + C (not whilst you have the text cursor in some text). This will insert a default text panel that uses Theme Color 1, but if your document uses a named colour, you’ll be asked whether you want the item to be recolored to match your Theme Colors. The handles on the 4 sides enable you to resize the sides independently. If you hold down the shift key and drag on the handle on the right side it will do a symetrical resize, ie. stretch both left and right sides equally. The handle in the bottom right will resize the complete rectangle. If you hold down the ctrl key and drag the bottom right handle it will enable you to change the aspect ratio of the rectangle. Drag inward on the yellow handle in the top left to curve the corners. Drag diagonally inward or outward on the handle in the top right of the text to adjust the margin between the text and the edge of the panel. Lastly, drag the top right handle to rotate the panel. When rotating the panel it will ‘snap’ to positions of 0, 45, 90 degrees, etc. This may make it difficult to set it to, for example, 1 degree. However, you can select the Ctrl key and the rotate handle which will disable the auto snap and make it easier to find the exact angle required. A simple Text panel SmartShape showing its edit handles You can edit the text as normal including setting text styles, fonts, links to web or email addresses. There are several ways you can change the colour used in the Text Panel. With the Text Panel selected in the Selector tool, either just click a color on the color line, or drag and drop a color from the color line onto the panel. The ‘Color Replace’ dialog appears so you can select which colour to replace. Text Panel selected showing the ‘Color Replace’ dialog Alternatively, using the Selector Tool, you can select the background shape inside the SmartShape using the Ctrl+click method of selecting things inside groups. With the background shape selected, you can also use the Fill Tool control to set the color and fill style. You can even change the background to be a bitmap; perhaps a texture. Now, to the orientation of the bubble’s arrow. You’ll notice there are three edit points on the arrow. Click & drag on the outer edit point of the arrow to change its length and direction. The mid point will give the spike a bend - don’t over do it through. The inner control handle allows you to drag the spike around the edge of the speech bubble so it can be abve, below, left or right side. Select the Text Tool to use any of the text functions. 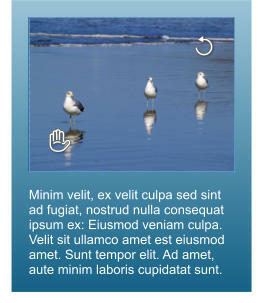 The Speech Bubble will automatically enlarge to accommodate any new text. Speech bubbles showing different spike positions and styles. It’s so easy to make your document or website look as if it has been created by a professional designer. Try it now - download the latest trial version of Xara Photo & Graphic Designer or Xara Web Designer. In the next tutorial you can learn how to create charts and timelines. See Smartshapes Part 1 to learn how to quickly create great looking Arrows, Rectangles, Ovals, Pie Shapes and Spirals.